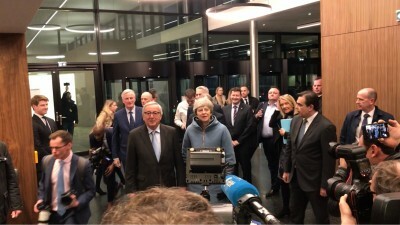 that embattled UK Prime Minister Theresa May and experienced EU Commission's President Jean-Claude Juncker, after Longer than scheduled, last-minute Talks, succeeded to Agree on a "Legal Mechanism" able to Fix the Backstop Problem in the BREXIT Deal, and allowing to open asap. 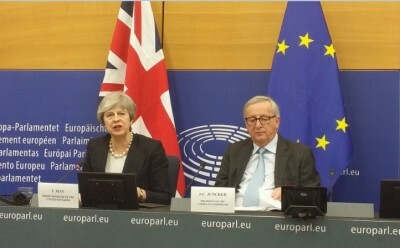 fresh UK - EU Talks on their "New Relationship" for the Future, as they ensured Journalists in EU Paliament, including "Eurofora", in a Press Conference held just 1 Day before crucial Votes at Westminster, in London, and 1 Week before a Decisive EU Summit in Brussels, dedicated to those issues. 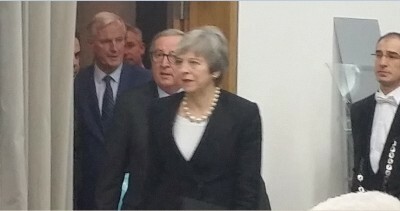 They were accompanied particularly by EU's Negociator on BREXIT, Michel Barnier, and spend Twice the laps of Time initialy scheduled for this Evening's Talks, (More than 2 Hours, from 9 pm up to 11 pm, instead of just 1, from 9 to 10, as it had been planed). 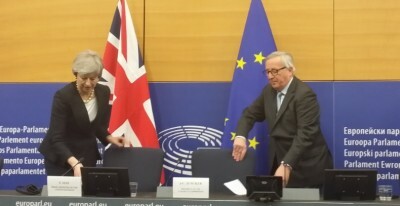 Juncker stressed that the "Instrument" Agreed Today had a serious "Legal Force", helped address the controversial "Backstop" on Northern Ireland's Borders as a kind of "Insurance" only for a Limited period of time, added to a guarantee against undesirable effects, and anounced that the EU is Now "Ready to Immediately Begin Talks on our (EU - UK) Future Relationship". May underlined that the British People will finally get what they had voted for, with an absolute Majority, at the BREXIT Referendum on 2016, including, among others, also, f.ex., "Regain Control of UK's Borders", Freedom from EU's Courts, from several EU Policies, as f.ex. on Fisheries, etc, would Spare a lot of the Money previously spend for EU Budget, etc, and, in exchange, they would Focus, in the Future, mainly on Trade and Safety, which would be "Good both for the UK and the EU". The Time that will be needed for an Agreement on their Future Relationship is, apparently, due to be much Shorter, than what had been necessary for the BREXIT Deal. Meanwhile, the Backstop mechanism against Hard Borders at Northern Ireland, will Not Stay Indefinitively, and "Alternative Measures" must be prepared, towards the "End of 2020". 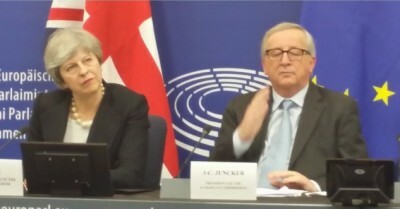 Meanwhile, Juncker has already spoken Today with EU Council's President, Donald Tusk, in order to Confirm the Endorsement of this Strasbourg's Legal Instrument, by the forthcoming EU Summit about BREXIT on March 20 in Brussels, while May met here also with EU Parliament's President, Antonio Tajiani, as well as with other Top MEPs, Heads of key Political Groups, as, f.ex, Guy Verhofstadt, Chairman of the Liberals, who is also EU Parliament's Rapporteur on BREXIT, etc. People in Europe and the World expect from CoE to make a succes of its "Monitoring" for Human Rights and Democracy, despite difficulties, said Finland's President Tarja Halonen to "EuroFora" at a crucial moment for the mecanism built 15 years ago by the paneuropean organization which celebrates its 60th Anniversary in 2009. 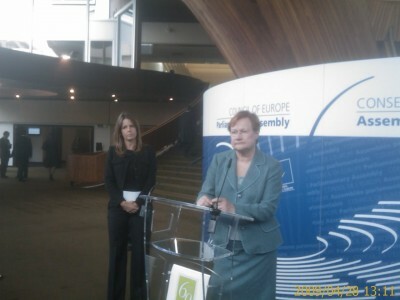 Halonen, known as "Mother" of CoE's "Monitoring" mecanism, a long-time MEP and former Foreign Minister before becoming Finland's President, holds a long experience in the mattter, after also serving twice as CoE and EU Chairwoman in the past. That's why she is well placed to judge how CoE's "monitoring" should deal today with some crucial issues of importance both to CoE and to the EU. The move came just a Month before a crucial, last visit to Turkey, scheduled for June, by the President of CoE''s "Monitoring" Committee, Ukranian MEP Serge Holovaty, to finalize his Report on Ankara, the CoE Member State with the longest Monitoring procedure. From its results depends its overall credibility. This is a Test-case, because, in fact, it's in order to avoid Sanctions threatened against Turkey by a CoE's Assembly's April 1995 Resolution for grave Human Rights violations, Democracy gaps, the continuing Military Occupation in Cyprus, the unresolved Kurdish problem, Aegean differend with Greece, etc., that MEPs decided to create, for the 1st time on April 1996, a "Monitoring" proces, allegedly destinated to check, without excluding Countries who did not fulfill all CoE's standards. 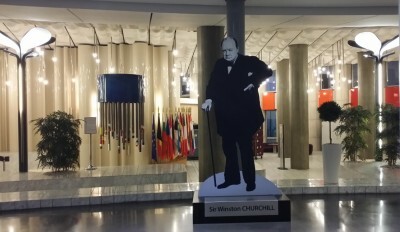 In the Past, the obliged withdrawal of Greece's Military regime and of its "Civil" cover-up out of the CoE had helped bring back Democracy in 1974. But, on the contrary, since April 1996, the idea was to "monitor" Human Rights' respect while keeping most concerned Countries inside the CoE. After Turkey's oldest example, this was extended also to several former "Eastern" European Countries, even if CoE's Assembly has imposed to some of them (fex. Ukraine, Russia, etc., after Belarus, Serbia, etc) various "Sanctions", that Ankara always avoided. Curiously more succesful even than .. USA itself, (a CoE "Observer" since 1995), which has been at least threatened with sanctions some years ago..
EU-effects of CoE's Monitoring process became obvious between 2001-2008, since the "closure" of this procedure, when CoE felt that a Country had met most of its Human Rights, Democracy and Rule of Law obligations, (i.e. the "Copenhagen Criteria" for the EU), helped trigger Negotiations with the EU for "Accession" or other closer relations : This occured already before the 2004 and 2007 EU Enlargements to former "Eastern" European Countries, as well as for the commencement of "accession" negotiations with Croatia, and of "open-ended" negotiations with Turkey in 2005. But a stricking new development are Holovaty's recent findings that on core Human Rights issues as Torture and Freedom of Expression, Turkey, even "5 Years after" CoE closed its "Monitoring", back in 2004, inciting EU to start accession Negotiations in 2005, still presents grave problems. His findings are of crucial importance after a 2008 CoE Resolution called, "if need be", to "seriously consider the possibility of Re-Opening the Monitoring procedure for Turkey" : A move which might affect Ankara's controversial EU bid, since EU Accession Negotiations are based on the Hypothesis that the Candidate fullfils the "Copenhagen Criteria" (See above)..
Holovaty expressed his will to check "Matters still Outstanding" and those that he "didn't have an opportunity to discuss" at an earlier visit this year, "in order to discuss the more complex issues in greater depth", at his forthcoming New Visit to Ankara, before the December 2009 EU Summit. This is all based on the 2004 CoE Resolution which stresses that, CoE "will continue.. post-monitoring Dialogue with the Turkish authorities,...in addition to a 12-points list,..and on any Other Matter that might arise in connection with Turkey’s Obligations as a CoE member state". CoE's Resolution also asks from Turkey "to secure the proper Implementation of Judgements, particularly in the Cyprus v. Turkey InterState case", of 2001, which concerns also the plight of many Hundreds of MISSING People. It adds Turkey's obligations to "execute" ECHR's Judgements in the Loizidou case,..and in particular adopt General Measures to avoid repetition or continuation of Violations found by the Court" to the detriment of Refugees. Nevertheless, Holovaty said to "EuroFora" that "MISSING" persons,"might be included" and cannot be excluded, but he has yet to examine the situation "to find out which issues will be raised" to the Turkish Government. Therefore, "EuroFora" asked Halonen, as the Historic "Mother" of CoE's Monitoring mecanism, if she thought that, "whenever there are grave Human Rights Violations, as fex. 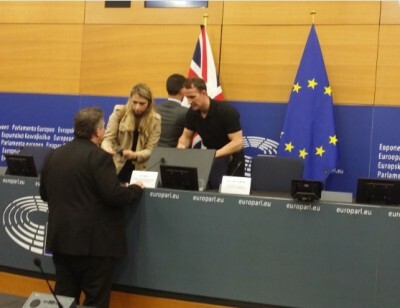 "MISSING" persons, attested even by ECHR's judgements, they should be always checked by a Monitoring process. Or could they be forgotten ?" - "We (CoE) must be, at the same time, Fair, Realistic, but not in the mind that "now we have Forgotten", etc., replied to "EuroFora"'s question Halonen, speaking as a matter of general principle. - "When we think of those People that are suffering from the lack of Democracy, of Human Rights, and of the Rule of Law", "we should find a base on how to deal with the (Monitoring) system more rapidly"', she stressed. - "Sometimes it's very difficult to combine Transparency and Effectivenes together, particularly in this specific case", she went on to say. But, "I have not found a (CoE Member) Country who could be insensitive in this sens", Halonen answered concerning grave Human Rights violations attested by the ECHR. - "I have no ready-made answer. I have the expectations that you, in the CoE, will, step by step, find the different types of the monitoring systems." Also "because this is a part of the UN's Post-Conflict system, (fex. when it comes to Cyprus' MISSING persons), and it's a more Global system". 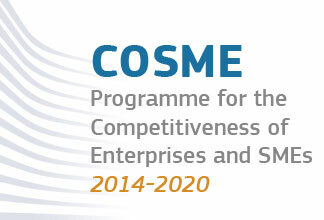 So that, "If we make a succes in Europe, the others will follow", throughout the World. "But they expect that we (Europe) are this opportunity, this Opportunity to make a Succes", Halonen concluded. Finnish MEP Jaako Laakso, former CoE Rapporteur on the Occupied Territories of Cyprus and one of the 5 Signatories of the Historic CoE's call to create the "MONITORING" mecanism since 1996, was more specific : - "We (CoE Assembly) have to find a way for the issue of Cyprus' MISSING People to be better followed", he stressed, anouncing his intention to "speak to Mr. Holovaty" about that. "There might be also other ways", added Laakso. - The 2008 "Year had been a very Bad one for Turkey with regard to Human Rights in general, and Freedom of Expression in particular", denounced, meanwhile, Holovaty's preliminary Post-Monitoringh Draft Report by Holovaty, published by the CoE on April 2009.
authorisation" for "serious crimes". Holovaty reminded. "Nonetheless", Holovaty heard anew of "Several cases of Violence committed last year (2008) by the (Turkish) security forces". Amnesty International speaks of Many Cases of ill-treatment and Torture in the prisons and by the police". "Including, fex. "'the death of Engin Ceber, a young man of 29 who died on October 2008 as a result of the TORTURE allegedly inflicted on him by police officers, prison staff and members of the gendarmerie. He was part of a group of people arrested on September 2008 during a demonstration and Press Conference in Istanbul'. Proceedings against suspects are "on-going" in this case. - "The Political Crisis that shook the country in the spring of 2008 highlighted the Weaknesses of the (Turkish) Constitution", which comes from the Military regime of 1982, "and the Urgent Need of Reforms", stressed from the outset CoE's Rapporteur in 2009. In particular, "the ...Democratic functioning of state institutions, including the independence of the judicial system, are crucial", he observes. But, "the Electoral system and the ways in which it is circumvented do not appear to give those elected complete Legitimacy, and tend to pervert the course of direct universal suffrage", denounces Holovaty, observing that, even 5 Years later, Turkey did not yet change the 10% nationwide Threshold for a party to take any seat, which is "far higher" than the "3%" maximum in Europe and already condemned as contrary to European Standards by the CoE. + Moreover, EU Parliament's 2009 Report on Turkey, drafted by Dutch MEP Ria Oomen-Ruijten and adopted in Strasbourg on March, expresses "Concern over the Failure of the (Turkish) Judiciary to prosecute cases of Torture and Ill-treatment, the Number of which is Growing". EU also "is concerned about continuing Hostility and Violence against Minorities" in Turkey. It also "calls on the Turkish Government to launch, as a matter of Priority, a Political Initiatve favouring a lasting Settlement of the Kurdish issue, (while "condemning violence.. and terrorist groups"). EU "regrets that No progress has been made on establishing full, systematic Civilian suprevisory functions over the (Turkish) Military". The final results of Holovaty's 2nd and last visit to Turkley will be known later this year, and, at any case, before EU's December 2009 Summit.